Believe it or not, plumbing is more than wrenches and pipes. Getting water into, and out of, your home directly impacts your family’s quality of life. Since 1968, Puget Sound residents have trusted Best Plumbing with all their plumbing needs. As a full-service company, we’re proud to walk our customers through every step of the construction or repair process. Whether it’s helping you pick out the perfect fixture in our showroom, stopping by in the middle of the night to repair a leak, or putting the finishing touches on a remodel, we’ll be there to help. C Les Plumbing LLC is a small family owned business with almost 30 years' experience in the plumbing industry. Although we do offer all types of plumbing services, we found our niche in kitchen and bath remodeling and work with several talented and professional contractors. Our goal has been to offer outstanding customer service, top quality products, and fair competitive pricing. As a small business we pride ourselves on making sure the work is done right for the health and safety of our customers and public. We rely on repeat business and referrals by doing our best to exceed your expectations. Lovely, rainy Seattle, Washington needs quality hot water heater repair men. It’s a fact. 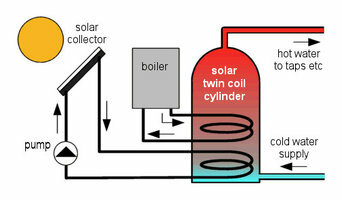 That’s how Todd’s Water Heater Seattle came to be. There is no comparing the services of dedicated Seattle water heater specialists, like Todd’s, with other service industry companies that handle a larger range of different work. Our dedicated water heater service professionals are second to none when it comes to all things water heater in Seattle! If you want the highest quality water heater repair service paired with the highest quality customer service, look no further than Todd’s Water Heater Seattle. Not only are we the most cutting edge company repairing hot water heaters Seattle has, we are also the standard bearers for customer service in all of Seattle’s service industries. We take the time Todd’s is no rag-tag company with rookies operating on Seattle water heaters. No. For the maintenance of their hot water heaters, Seattle demands better. All of our technicians are seasoned professionals with tremendous experience and the best training. Our guys have paid the price in the industry and have proven themselves skillful, knowledgeable, and dependable. To do things right We do not take shortcuts with Seattle’s water heaters. There is none more trusted with the water heaters Seattle relies on than us. And there is good reason for that. Whether you call us for your gas water heater, electric water heater, or tankless water, we have you covered. Yes, you read right, we repair and install all makes and models of gas water heaters, electric water heaters, and even tankless water heaters. Keeping you in mind We strive to be the best for the community we love. There is no city better than the Emerald City and we are only doing our small part in upholding the standard Seattle tends to set across the country. There is no city better than Seattle, WA and a city is only as good as its people. We are proud to share these streets with our customers. It is actually our privilege to have the opportunity to serve our neighbors’ hot water heater service needs. Always With a commitment to quality second to none, Todd’s Water Heater Seattle offers a 100% satisfaction guarantee that covers the work we do as well as our customer service. If you know how rare this is, you know how serious we are. Call Todd’s Water Heater Seattle to see the difference for yourself today! We are a small local plumbing contractor that works with high end custom homes and all aspects of service/repair plumbing work. We are a family owned and locally operated Plumbing and HVAC service in Lynnwood, WA. We serve both residential and commercial clients in King and Snohomish counties. Swift Plumbing and Heating Inc. is a small, family owned business. We have been in business here in Kitsap County since January 1986. Our service area is primarily Kitsap and Jefferson counties. We are well established, with an excellent reputation for professional workmanship, responsiveness, and reasonable rates. We are involved in new construction & remodeling both residential and commercial. We have been servicing and installing hydronic heating systems for more than 15 years. We are committed to fair and honest pricing. Our plumbing technicians are not commissioned salespeople. When you call Jim Dandy Sewer and Plumbing contractors we give you a ball park price for plumbing and sewer services over the phone. Our technicians will arrive at your home prepared to fix your drain, repair your sewer line or clear your clog. We will not attempt to up sale you for services you do not need. Unlike our competitors we do not offer free estimates, because we know that this is just a ploy used by our competitors to get into your home so they can sell additional services to you that you may or may not need. The Pearl of Service! Baikal Services is a local Plumbing and Heating company, family owned and operated with up to 20 years of experience, that proudly provides - 24/7 emergency services - plumbing services, leak detection, heating, electrical, rooter, drain cleaning, and sewer repair services in Snohomish and King Counties, WA State. Our goal is to serve you with the best service experience possible. We believe in high work ethics, quality workmanship, customer safety, and 100% satisfaction. Baikal Services is fully licensed, bonded, and insured, a professional and reliable company you can trust. Our mission is to get the job done and to do it well. We are open on weekends as well at no extra charge. Contact Us 24/7 with any plumbing, heating and rooter problems, and we will be happy to assist you. We promise integrity and quality workmanship on all our services. We are small, local owned, family business. Our technicians have been doing this work for more than 20 years each. We work M-F 8-5 no evenings or weekends. Drain Cleaning is our specialty, but we can help you with any plumbing items at your home. Family owned since 1978, we are Puget Sound's most respected underground utility company, and can help with all sewer and drainage needs. We strive to complete work in a timely & professional manner, leaving the job site looking as good as it did when we started. Along with our reliable crews, we have the equipment, knowledge, and experience to get the job done right the first time. All Valley plumbing is a family owned plumbing service provider with honest, licensed technicians who can fix any problems you may have. 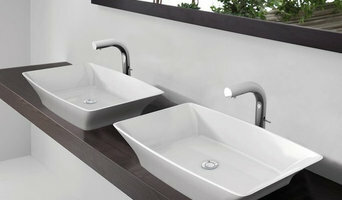 We offer both residential & commercial service and specialize in all plumbing repairs and installation including but not limited to drainage/drain cleaning, emergency plumbing, boilers, water heaters & tankless/endless water heaters, gas fitting, re-piping, water main connections and repair, and much more. Do not forget to call us for blocked drain or any plumbing services emergency call us at 253-236-5000. No extra charges for any call out. We are available 24/7 for your help. 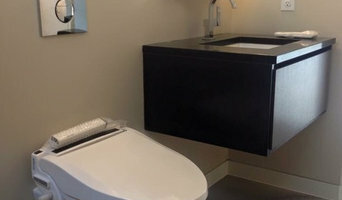 With over a decade of experience in the plumbing industry, Matt The Plumber has been handling all Residential and Commercial plumbing jobs in the Federal Way and King County areas. We handle complete design and installations of residential plumbing systems, and some of our specialties include septic and sewer cleaning, electric water heater services, leak repairs and pipe cleaning to name a few. We are Gas Certified, Backflow Certified, and also certified in tank and tankless heating systems. All Valley plumbing is a family owned plumbing service provider with honest, licensed technicians who can fix any problems you may have. 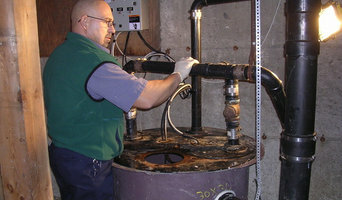 We offer both residential & commercial service and specialize in all plumbing repairs and installation. Our customers can depend on us for 24X7 plumbing service. The plumbing systems in our homes and businesses work hard every day, though we rarely think about them until there's a problem. From drain cleaning and drainage to water heaters & emergency plumbing. With a lot of plumbing work done behind walls and underneath floors, some Seattle, WA plumbers will also repair or replace tile, stonework or other surfaces, if need be. You’ll find most Seattle, WA plumbers provide a variety of services, including maintenance and construction, covering gas, solar and electric. However, some will have areas of expertise. A 24-hour plumber, for instance, will be well versed in residential emergencies and repairs, while others may be more experienced in renovations and new homes, or the installation of septic systems, rainwater tanks, pumps and other special water and drainage systems. 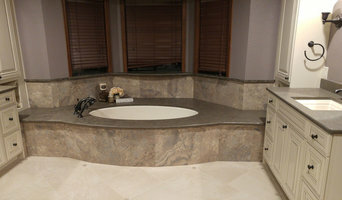 Find Seattle, WA plumbers on Houzz. A leaking toilet or blocked drain can do more than just water damage, so never wait too long to call a local plumber. Start your search on Houzz by browsing the Professionals section of the site. If you're undergoing a renovation or home construction, you may also look through Photos to find local plumbers who have worked on projects similar to yours. If you’re planning a large-scale project, find other professionals on Houzz who can help get the job done. Here are some related professionals and vendors to complement the work of plumbers: Building Project Managers, Septic Tanks & Sewage Systems, Kitchen & Bathroom Designers, Kitchen & Bath Renovators.